Whether you’re in BC Liquor Stores or on the go, help is just a tap away. 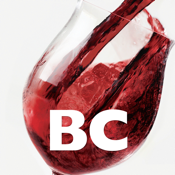 Use this app to find out what's available in BC Liquor Stores. Products: Browse, search, or scan the barcode on products. See current inventory in nearby stores. Share your favourites with friends via email, text message, Facebook or Twitter. My Cellar: Organize your favourites into lists. Share your lists with friends via email, Facebook, Twitter, and text message. Find Wine for a Meal: This handy wine and food pairing guide will help you find the right wines to go with your meal. Taste: Food and drink recipes are featured from BC Liquor Stores Taste magazine. Pairings come with food recipes. Barcode Scanner: Scan an item to quickly find details and store availability then add the product to My Cellar. My Cellar: Save your favourites in an easy-to-access list. Rate and comment on favourite products. Stores: Find a store, get directions and store hours or call the store. Using your location, map view allows you to easily see which stores are open (green pins) or closed (red pins). Note: BARCODE SCANNING IS SUPPORTED ONLY WITH MOST DEVICES THAT HAVE CAMERAS. Alternative method to scanning is entering the UPC number or SKU product number to search our database.